National Public health Laboratory (NPHL) is the government national reference laboratory under the Department of health services (DoHS) and Ministry of Health and Population (MoHP). It is directly linked with different levels of 277 government laboratories in the country. It was established in 1968 as Central Health Laboratory. The name was changed to National Public Health Laboratory in 1991 with the mandate for organizational and administration responsibilities for the health laboratory services (public health and clinical diagnostic) in both public and private sectors throughout the country. Networking, Licensing, monitoring, supervision, capacity, strengthening and conducting research activities and NEQAS of the laboratories are the major functions of NPHL. Currently, NPHL has facility of biosafety level (BSL) II lab with real time PCR (RT-PCR) which is in use for testing viral load & Avain Influenza including Swine flu. To develop National Public Health Laboratory as centre of excellence in diagnosis. 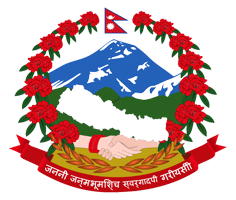 To provide quality laboratory services (diagnostic and public health related) to the people of Nepal through central, Regional, Sub-regional, Zonal, District and PHC based laboratories. Extend laboratory services in all hospital and health case institution upto PHC level. To develop NPHL as national reference laboratory for diagnostic and public health services. To address the diagnostic needs due to emerging and re-emerging diseases. To upgrade and introduce new facilities at NPHL. To strengthen overall capacity of health laboratory services through NEQAS and supervision and monitoring. To procure quality equipment and reagents according to the need. To practice Good Laboratory practice (GLP) by all the laboratories in the country. To assist the laboratory in introducing specialized tests by NPHL.